Check out these sites and more on the Albucreepy Downtown Ghost Walk. The Roswell incident, aliens, UFO sightings, the unexplained Taos hum, mystery of the chupacabra, teratorns… there are a lot of wacky and weird activities in New Mexico, for which there are few answers. But the biggest mystery of them all is the ‘ghosts of Albuquerque’. 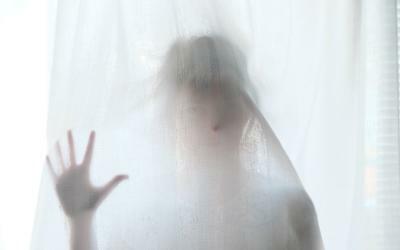 Albuquerque has been in the news for a number of ghost sightings and creepy experiences. Residents and visitors have reported seeing apparitions, phenomenons such as chairs moving on their own, lights turning on, spirits crying, disembodied voices, and more. From theaters to old mansions, cafes, hotel rooms, libraries, and even a children’s hospital, there are many haunted places in and around Albuquerque. Armed with the right equipment, such as an EMF detector, thermal camera, outdoor handheld GPS device, and others, you can now go on a ghost walk for a first-hand experience of the creepy myths and legends of Albuquerque. Even the top scientists now have an open-mind about the paranormal according to this Scientific American report. KiMo Theater – The 6-year old Bobby Darnall was killed in the theater when a hot water pipe exploded in 1951. Little Bobby haunts the KiMo theater to this day and scares the staff and performers. There is a sound and lighting malfunction if a donut, candy, toys, and gifts are not left backstage for Bobby on the opening night of every performance. A young woman is also seen sometimes walking the hallways. Old Bernalillo County Courthouse – A small girl with blonde braids in her school uniform is often seen here. Many people have also seen lights turning off and on, locked boxes suddenly open with their contents scattered, law books hurtling down the stairs, and unexplained cold spots. The building’s basement is said to be particularly haunted. Hotel Andaluz – This was the first building in NM to have air conditioning. Renovated and upgraded, the hotel now offers top luxury, but be prepared to wake up in the middle of the night when you hear a woman screaming. Guests have also complained that their jewelry was moved. Wool Warehouse Theater - Originally a wool warehouse, the second floor was turned into a theater restaurant in 1984. Subsequent renovations are said to have activated a spirit in the building, causing an increasing number of spiritual manifestations. Men in black and cream-colored suites haunt the backstage. Objects have gone missing and repapered in other places. Employees avoid going down the stairs to the basement as there have been reports of a push from behind by an unseen hand. There are many haunted places to visit in downtown Albuquerque and elsewhere in the city. Each building has its own history and a spooky tale that will run a shiver down your spine. If you are lucky, you might have your own creepy experience in Albuquerque.